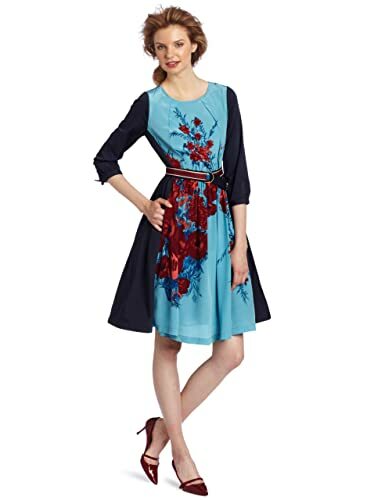 100% Silk; 74% Polyester/26% Cotton Dry Clean Only This chiffon McGinn slip-lined shirtdress has contrast trim at the collar, shoulder epaulets, two-button cuffs, and a front-button placket. Front flap pockets. Removable sash tie. Long roll-tab sleeves. Nice pics! Completely matching with red shoes! Gorgeous looking..
wow i like it ..! !